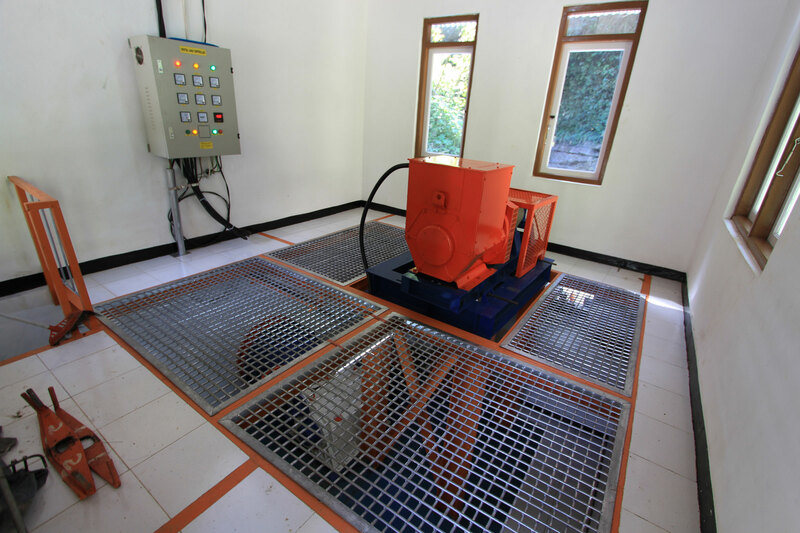 MCC funding helped IBEKA build two micro-hydropower plants to bring electricity to communities in Sumba. The Indonesia Compact’s Green Prosperity (GP) Project worked to address critical constraints to economic development while supporting the Government of Indonesia’s commitment to sustainable growth. Investments focused on four areas—renewable energy, peatland restoration, sustainable agriculture and natural resource management, with opportunities for partnership and community-engagement prioritized throughout. The flexibility of the project design meant that elements of GP could be adjusted to meet the needs and opportunities of different communities. The result was one of the most broad and diverse portfolios of activities ever undertaken by MCC, with all of them making unique contributions to advance the overarching goal of sustainable growth. The project’s engagement with the island of Sumba, one of the most remote and underdeveloped of Indonesia’s 17,000 islands, illustrates the overarching themes of GP and hints at the broad variation and innovative approaches to investments across Indonesia. MCC’s investment supported a partnership with Hivos, an international organization working in Indonesia to strengthen opportunities for renewable energy and sustainable business. On Sumba, Hivos worked with local communities to bring renewable energy to rural areas through installation of solar panels, including 5,000 solar home systems and 90 “kios listrik,” or kiosks, where community members can charge lamps and cell phones. Building these kiosks in schools and throughout the community helped to encourage local ownership of the system, and fostered new connections as we heard that people enjoy socializing at the new modern facilities. 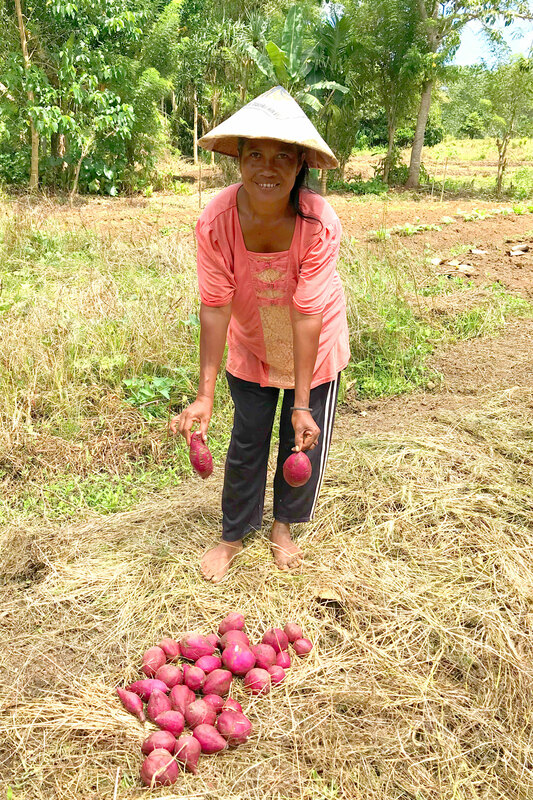 On Sumba, efforts to encourage adoption of improved, sustainable agricultural practices helped farmers who sought to improve yield for products such as sweet potatoes. An MCC grant to a consortium of community organizations empowered villages across all four Sumba districts to adopt improved agricultural practices. Efforts to train members of nearly 3,000 farming households contributed to decreased pesticide use and increased use of organic fertilizers to better manage natural resources. Approximately 79 hectares were planted with trees and environmental protection measures were integrated into planning for 16 villages. Community members now see increased yields and opportunities to sell products, such as chili peppers and sweet potatoes, at higher prices. The Participatory Mapping and Planning (PMaP) component of GP was carried out in villages throughout all four Sumba districts. PMaP work frequently complemented concurrent MCC grants in the same areas. Increased spatial certainty helped to assure sustainability of MCC investments by providing individual farmers and traditional “adat” communities with opportunities to settle boundary disputes and register their land holdings and community forests with local and national government. In Sumba Timur, MCC funded a grant to IBEKA, an Indonesian non-governmental organization working to help diversify rural economies through access to power and technology. Two micro-hydropower plants generating 160 kilowatts were developed to bring electricity to local communities, and cooperatives were formed to manage plant operations. The community plays a critical role in the effort, with 20 local villagers trained as operators. Also in Sumba Timur, MCC funded a renewable energy project designed to bring power to communities off the grid, while ensuring buy-in and sustainability over the long term. The photovoltaic solar project, designed by American-owned Electric Vine Industries and using batteries from American-owned Fluidic Energy, has a distributed design which is relatively new to Indonesia. The investment consists of multiple projects across eleven villages with new generation of almost 500 kilowatts. 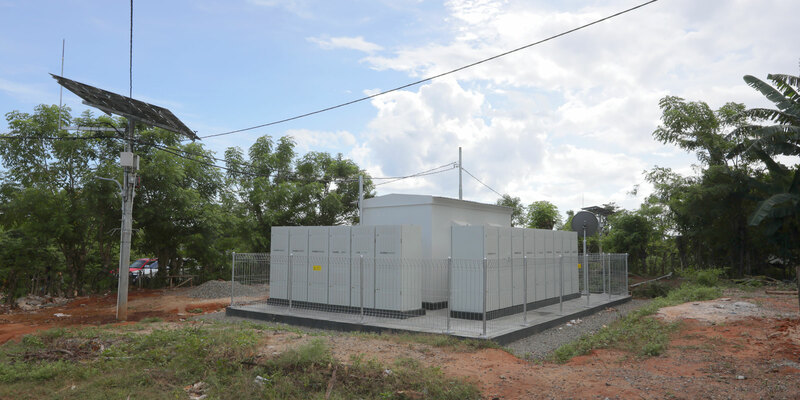 The modules are scalable and expandable, easy to add capacity if electricity demand increases in the future and clearly visible to encourage collective monitoring by community members. The system relies on smart-metering payments in which users pre-pay for electricity via their mobile phones. Meters are connected to the mobile network and monitored online by project managers. This pre-payment approach by consumers, combined with the ability to remotely monitor generation and levels of use, helps to sustain the system by matching payment cycles with the consumer’s ability to pay. As partial owners, community members take part in managing project operations and maintenance. In Sumba, a new photovoltaic solar system is powering homes, health centers and schools. In total, along with PMaP activities, there were nine Green Prosperity projects across Sumba—and this is just one of the many islands and communities across Indonesia where MCC worked to create new opportunities for economic growth that could be sustained long after the compact ends. Monitoring and evaluation work will continue to track the impact of investments in Sumba and across Indonesia, to follow progress and potentially apply lessons to future MCC projects.